Prepare yourself for a particularly overwhelming sightseeing experience: The world famous High Dam was an engineering miracle when it was built in the 1960s. It is rising 7 Km south of the city. The High-dam, one of the biggest dams in the world, was erected to store the flood waters of the Nile whereby preventing the annual flooding which on occasions could submerge whole villages. 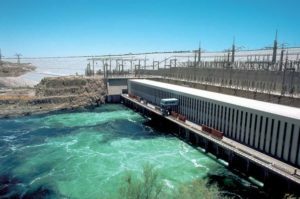 The water is stored in Lake Nasser and then used to irrigate and reclaim new land and generate the electricity needed by industries.